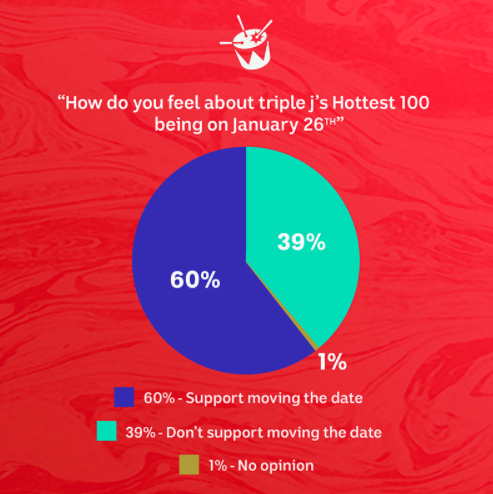 Triple J has dealt Australia a gamechanger today by announcing plans to officially move the Hottest 100 countdown from its traditional home on Australia Day, January 26th, to “the fourth weekend of January” from here on out. Speaking more about what prompted the landmark move, the J crew pointed to the result of an independent survey on changing the air date of their annual Big List, which saw a 60% majority of the 65K respondents vote ‘Yes’ to the change, saying the station is “making this move after hearing directly from you”. They also did a second survey for posterity, polling around 800 18-30 year olds who had all listened to triple j at some point, which returned a similar 55% majority ‘Yes’ result. The controversial date of January 26th will now be reserved to mark Australia Day/Invasion Day with some new programming that focuses on diversity, with the station promising to play 100% Australian music all day. As for why they picked the “fourth weekend of January” as the Hottest 100’s new home — a date which next year will see the list counted down just one day after Aussie Day on Saturday, January 27th — the answer was a no-brainer. “We wanted to keep all the best bits you love about the Hottest 100 – the music and being with your mates on a day that most people have off – and still host it at the same time in summer you’re used to. It also means we can follow up that weekend with the 200-101 countdown,” JJJ explains. “Over the past 12 months, we’ve been speaking to heaps of different people who would be affected by this decision, including musicians, community leaders, representative groups, triple j staff, ABC groups, and a wide range of Aboriginal and Torres Strait Islander media, language groups, and many of the Indigenous artists featured on triple j.
They’ve also pointed out that, “though the Hottest 100 has mostly been held on Australia Day, it’s not about Australia Day”, reminding punters that the Aussie radio event of the year has been held on a few different dates in the past. “It’s fair to say there’s been increasing debate around 26 January and there are a lot of perspectives on what it means to different Australians,” the station explains. “As the public broadcaster representing all Australians, triple j and the ABC doesn’t take a view in the discussions. “However, in recent years the Hottest 100 has become a symbol in the debate about Australia Day. The Hottest 100 wasn’t created as an Australia Day celebration. It was created to celebrate your favourite songs of the past year. It should be an event that everyone can enjoy together – for both the musicians whose songs make it in and for everyone listening in Australia and around the world. This is really important to us. Voting on the Hottest 100 of 2017 will open from Tuesday, 12th December this year. 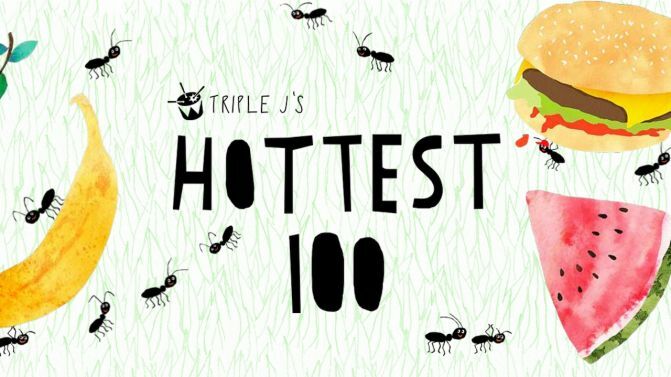 Catch more key Hottest 100 dates for your diary, below.